For all of your vehicle service needs, visit us! We are At Your Service for all of your vehicle's service needs; oil changes, brakes, suspension, steering, alignments, tires-wheels, exhaust, fuel systems, tune ups, transmissions, glass-windshields, batteries, heating/cooling systems, electrical, air conditioning, diagnostics, restorations, inspections, we do it all and more, even lawn mower repairs! Our facility is equipped to meet all of your repair and service needs on domestic and foreign cars including trucks up to 5 ton. Serving clients in Markham since 1990, Markham's Bullock Drive location is located just north of Highway 7 and McCowan Ave, within a walking distance to the CF Markville Mall, Loblaws Supermarket and the Centennial Go Train station. Buying or selling a vehicle? Visit us first for pre-purchase inspections, Ministry of Transportation inspections and repair services for all vehicles including heavy duty trucks over 4500kg, gas and diesel. Commerical Fleet vehicle services. We accept fleet service cards such as ARI, Element, Wheels, Foss Corp-Rate and more. Call Joe to personally discuss your specific fleet vehicle service needs. Markville Master Mechanic is independently owned and operated. It's our teams' dedication to professional service that differentiates us from our competitors. Come by and talk to the Markville Master Mechanic team: Joe, Peter, Jeffrey, Junuel & little Jacob. "Jannies L I've been to this location a few times now and have recently had them do work on a new (old) car before I took it home. They did such an amazing job for a fair price and was very detailed in letting me know exactly what was done [...]"
"Inpalla Amazing service, very knowledgeable, and fast. I only trust them and only use them!" "Everyone I have dealt with at this location have been extremely friendly & very professional. I would highly recommend people taking their vehicles here for servicing." Use this coupon to receive $10 off your next service at Master Mechanic Markham - Markville. Let's Meet! "Even though it was only a Drive Clean test, I was very happy with Joe & his service." "I felt you are doing an honest service in maintaining my vehicle. Your shop is very clean & the work as promised was done & ready to go ahead of time"
"Very friendly & knowledgeable. Definitely would recommend." "Great service. Will use you in the future. Joe"
"�I appreciated your shop being clean. Good service. I would recommend your business." "Joe is very honest & reliable mechanic. He will call you before they proceed on any repair with the quote, no hidden fee, no surprise. Highly recommend." "Joe & Tracy are always helpful, informative & very honest people, whom you can always rely upon for good service." "Very cordial & friendly service � thus adding a human element to a very good service record"
"Very friendly and professional, work was done when promised. Would definitely go back to have my vehicle worked on." "So far so GREAT! Car feels fine & I saved over $600, over what the dealership wanted to charge." "We wouldn�t go anywhere else. I just wished you had charged for the inspection you did. Thanks again"
"As long as Joe & Tracy are there, we will be bringing our vehicles to them for service & we will be an ambassador to that location." "Very friendly & professional. Work was done when promised. Would definitely go back to have my vehicle worked on"
"The service was excellent & Joe was wonderful to deal with. He was very friendly & professional." "Best knowledgeable & honest mechanic I�ve seen." "Responsive, Respectful, Courteous & Competent Service. Who could ask for anything more?" "Very courteous & professional service for a 1st time users. Thank you!" "Joe at master mechanic literally saved my life. I would highly recommend visiting him if this is in your area. He was able to fix the small things for me, he was able to give me great prices, and he really took the time to talk to me and help me out with my car problems. He has gained a loyal customer out of me. My rear differential was replaced, fan belt, winter tires and installation, rear brakes and rotors.. just some of the stuff he did for me in 4 days .."
Wonderful staff, would recommend to anyone! 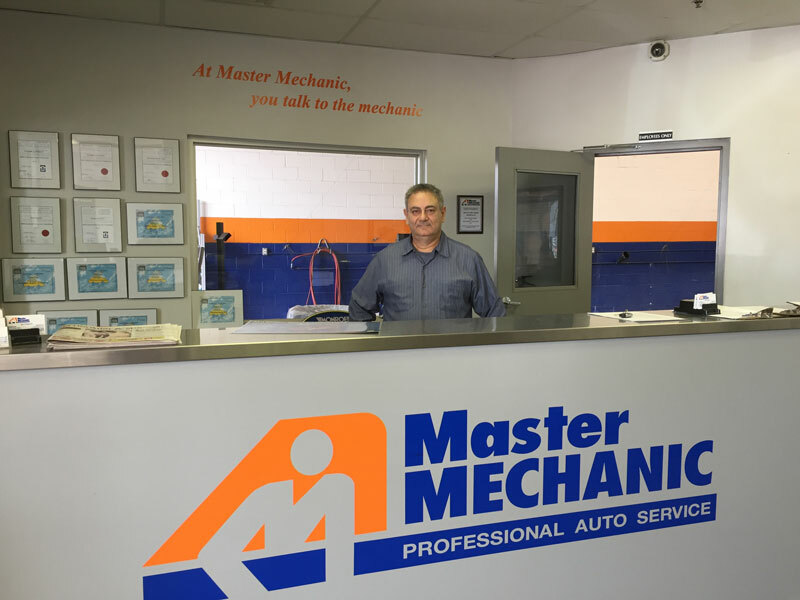 "The staff at Master Mechanic are wonderful. They ensure you are informed on what the vehicle needs, and they allow you to make an informed decision on how to proceed. They have never try to to sell services that are not necessary and on more than one occasion have gone the extra mile to repair my vehicle at a reasonable cost. I am very comfortable taking my vehicle here and know it is in great hands. I would recommend this location to anyone looking for honest, reasonably priced repairs!" "Having only been to this location once for a minor checkup, I was very happy with my recent October 2016 visit. The owner Joe was very friendly and understanding. He was very honest with me when he looked at my vehicle and even showed me what was wrong. Took the time to explain before all repairs were done. Overall, I was very pleased and plan to visit this shop again. The Extra mile experience I received made it worth while to come back. Thank you very much." "Pleased & impressed! I would definitely consider future work together." "I received excellent service. Joe is the best. June was very nice & follows through in verifying for the radiator leak. However no leak could be found. Will keep an eye on it. Thank you." "Always great service. Straightforward communication, expert staff. Fair pricing"
"Great service & friendly knowledgeable staff. Joe is my go-to guy from now on." "This is a fleet vehicle & the driver was very happy with the repairs. He will be bringing his personal car here as well." "Thanks Joe! You are your team do great work & you are always quick & efficient." "Amazing service, very knowledgeable, and fast. I only trust them and only use them!" "I've been to this location a few times now and have recently had them do work on a new (old) car before I took it home. They did such an amazing job for a fair price and was very detailed in letting me know exactly what was done. Their front lobby is comfy and clean with a coffee machine and free oatmeal cookies :) Owner, Joe is kind, professional and makes you feel comfortable asking questions. The cleaning they did on the car I got was amazing, so many parts looked new. They also have a few specials goings on through out the year, so look out for those. If you're looking for friendly, approachable and straight up mechanic (hard to find lol) i'd definitely recommend this specific location of Master Mechanic!" "Joe Chiapponi (owner of Master Mechanic) you are the man! After hearing how great Master Mechanic was with the servicing of our ON SIDE Restoration fleet, I felt very comfortable placing the appointment to doing my due diligence of changing over tires on my wife?۪s van. I found their facility was bright, clean, well ventilated, and natural lighted. After placing the appointment, I found them professional, on time and yet was personable. They even re set my maintenance light at no charge. I am so glad that my original mechanic could not come through. 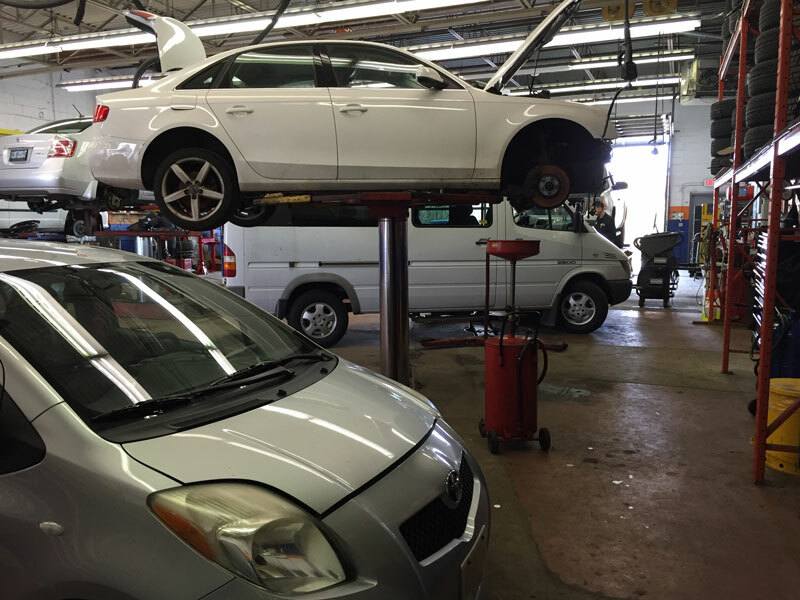 I would be happy to recommend Master Mechanic to my friends and colleagues." "I am about to write something I have never felt the need to do. 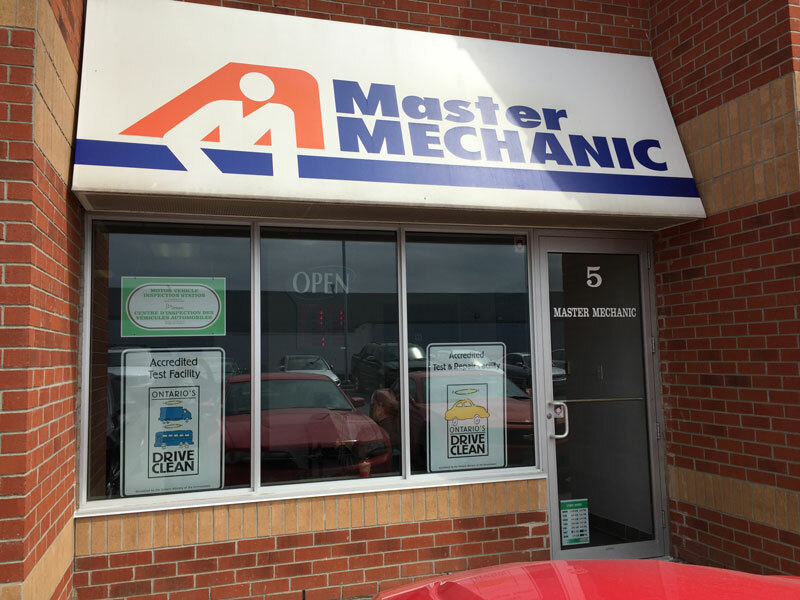 A letter of appreciation to Master Mechanic, more specifically to Joe Chiapponi, located at 5-185 Bullock Drive, Markham. My wife and I moved into the area and saw the signage for Master Mechanic. The following day I went in, introduced myself and talked about an issue I was having with my truck. Joe greeted me even though he was busy and took the time to explain what my truck problem was and how to fix it. I said I would be back when my schedule allowed. Weeks go by and the engine light comes on as I feel a cylinder start missing, this never happened since I bought the truck new late in 2009. Because of the way Joe had spent the time explaining previous issues to me, I immediately phoned him and he said bring it in. I did and a technician reported back that a spark plug on cylinder number 5 had misfired. They made the time to help me on the spot. Since I live within walking distance, I left the truck there so they would not have to rush. After being home for an hour, the phone rang and it was Joe. They had discovered other issues that needed to be addressed. Joe asked me to return so I did, and Joe spent time explaining and showing me the items that were found. For example, a tie rod end, bearing in both front wheels and a ball joint. When I got the truck back it handled like new, if not better then when I got it new. Fortunately for me, they also have on-sight, a high quality wheel alignment machine and operator. A very special thanks has to go to Joe, Tracy and the technicians. I realize that what they did while servicing the truck saved me from a failing wheel bearing that could have resulted in a minor accident or potentially worse. I also have to complete my story by explaining I just had a road worthy certificate issued two months earlier by another service centre that never identified these very serious issues. I wish Joe and all his support team a Happy New Year and may more potential customers find their way to his location for that kind of honest, and fairly priced vehicle care that is today, rare. As long as Joe and his team are at this location, I will be their ambassador for vehicle service. " "I have been taking my car to Master Mechanic regularly for 3 years for maintenance every few months. My experiences were all positive as everyone is always pleasant to deal with. I am brought in for my appointments on time and finished quickly. I would recommend master Mechanic for anyone looking to have their car serviced." "This letter is to thank you and your technician for the excellent service performed on my car. I know my car is a 1998 Grand caravan and it is old...but it is still \my baby"and Master Mechanic treated it as such. You have serviced my mercury since it was new. I have complete confidence in your service and the honest reports you give me. I have just had what I call 'bumper to bumper service' and you have come through with flying colours. rest assured I will drive to Florida again this Winter with unquestioning confidence. many thank again."""" "I wanted to take the opportunity to commend the staff at your Markville location. Today while driving I had the misfortune of having my alternator fail. Being an outside sales rep I'm often on the road and not being from Markham searched for the nearest Canadian Tire for assistance. Thankfully my GPS has not been updated and it led me to where their store used to be which is now one of your locations. The staff at this location are amazing! My vehicle was brought into a bay immediately, the problem was diagnosed, the part ordered and received in what seemed to be minutes. After about 45 minutes into the work Joe approached me and explained that the work would be a bit longer than expected putting the staff out since it was already 5pm. I explained I really needed my vehicle that day and I didn't really have an alternative, had to be elsewhere the rest of the week and wouldn't be able to return. \no problem"he said and promptly went back into the bay to inform the staff of the situation and they carried on without any disappointment to having they're already long day extended. All I can say is thank you to the staff in Markham. You have saved the day. Customer service is exceptional and I honestly feel that although I live at the other end of Toronto Joe and is staff will see me again. I have found my new mechanic! """"